Rio Norte Junior High School first opened its doors on August 18, 2003. 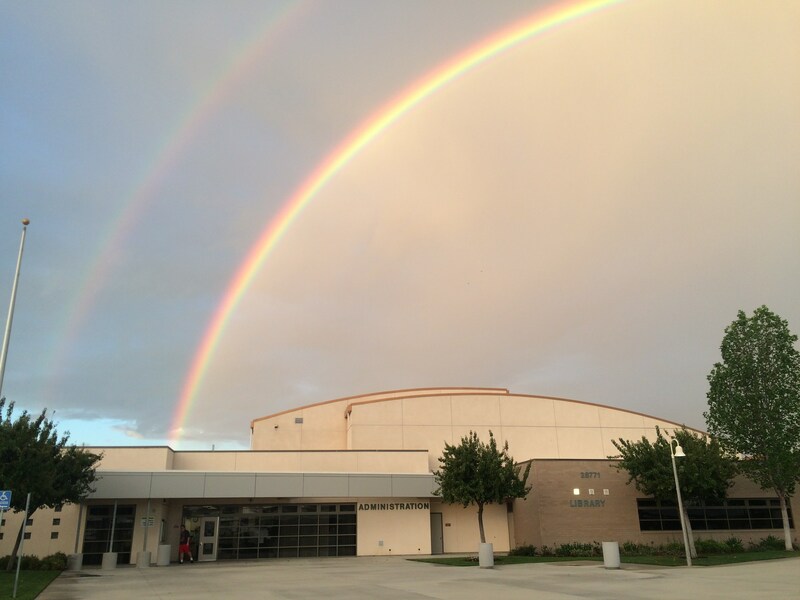 The 25-acre site is one of six junior high schools within the William S. Hart Union High School District, which serves the Santa Clarita Valley. Rio Norte’s campus is designed to serve 1200 students and consists of eight separate buildings including six classroom buildings, each with a central computer core, an administration building (which also houses the library), a gymnasium, multi-purpose room, computer labs and other areas for a total of approximately 86,300 square feet. There are 15 relocatable classrooms as well. The school serves the needs of 7th and 8th grade students only. Its current population is approximately 1300 students but it has served over 1400 students in past years. Rio Norte was the first school in the Hart District to establish a Parent Teacher Student Association (PTSA) and the first to embrace block scheduling, fueling a movement on the part of other campuses, particularly the newest schools, to follow suit. Students, parents and teachers have consistently been very positive about the schedule, citing the ability to complete more authentic assignments and time to allow teachers to get to know students better as just some of the benefits. With less minutes required daily for passing periods because there are fewer of them, students can spend more time in classes. Academic teaming keeps heterogeneous groups of students learning in the atmosphere of “smaller schools,” which research shows is beneficial to students in the middle grades. Core subject teachers share common prep periods, allowing them to meet weekly or more often as necessary to integrate lessons and mitigate issues which students may encounter. A variety of interventions are in place for those students who may be struggling, such as After School Academy and the Advisory Intervention Program, which requires students to make up missing assignments or review current topics of study during the 29-minute advisory period on Tuesdays and Thursdays.